Salaam beautiful peoples, how are you today! 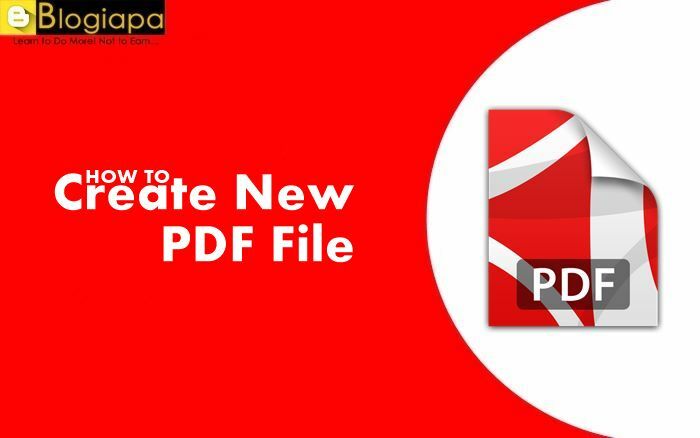 Today we'll discuss about How to Create a New PDF File. Don't forget to Subscribe and Join 1000+ other subscribers for direct updates in your inbox. You can also get us on Facebook & Twitter. We encounter files with PDF extensions very often. I do not even need to install a pdf viewer program to open the files in this form on my Windows 10 computer. I can easily view pdf-format documents with Chrome and Edge browsers. One of the advantages of the pdf format is that it can be easily displayed on different operating systems and on different devices. For this reason, it is among the most preferred formats. Salaam beautiful peoples, how are you today! Today we'll discuss about How to Create a New PDF File. Don't forget to Subscribe and Join 1000+ other subscribers for direct updates in your inbox. You can also get us on Facebook & Twitter. We encounter files with PDF extensions very often. I do not even need to install a pdf viewer program to open the files in this form on my Windows 10 computer. I can easily view pdf-format documents with Chrome and Edge browsers. One of the advantages of the pdf format is that it can be easily displayed on different operating systems and on different devices. For this reason, it is among the most preferred formats. What do you need to create a PDF? If you are using a PC with Windows 10 installed, you can create a pdf file with any program that has printing capability. If the virtual pdf printer feature is added to the operating system together with the latest updates. It is possible to create a pdf file with a program like Notepad. Click Print on the menu or click the Ctrl + P hotkeys to open the print window with these hotkeys in almost any program. 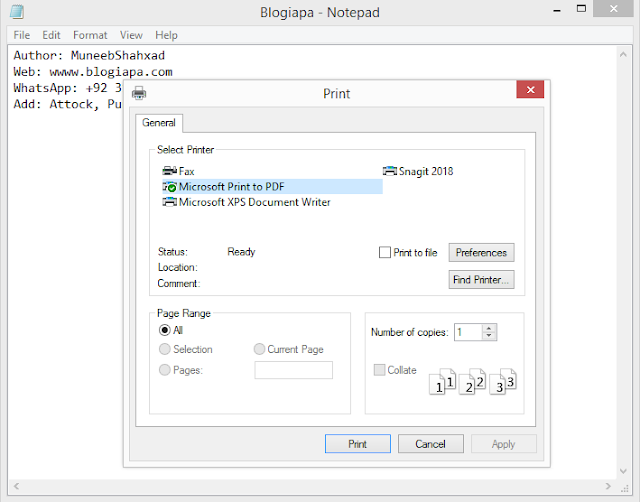 Then select Microsoft Print to PDF as the printer and save the file. Those who do not use Windows 10 can benefit from free programs for such a feature. My recommendation is the program doPDF. After installation you will add a virtual pdf printer to your program system. You can create documents in pdf format using this printer from all programs. One of the best ways to create a PDF is to use office programs. If you are using Microsoft Office 2007, click on the Office button, then click Save As Pdf or XPS and name and name your file as a recording pdf and save it. If you are using Microsoft Office 2013 or 2016. On the File menu, click Export. Select Create PDF / XPS Document. 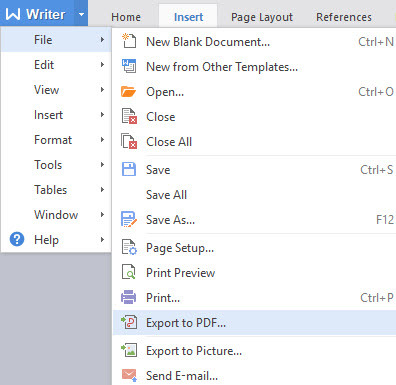 Click the Create PDF / XPSbutton to save your file in .pdf format. It is possible to do pdf easily not only with Microsoft Office but also with other office programs. You can do this with the Export as Pdf option in the File menu in all of the office suite programs such as Apache Open Office, Libre Office, and WPS Office. Thanks to the tool you can access by clicking on the Free Online button at www.pdfescape.com you can create pdf files online and download them to your computer.